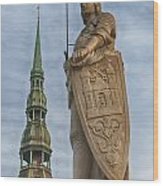 There are no comments for Roland Of Riga. Click here to post the first comment. 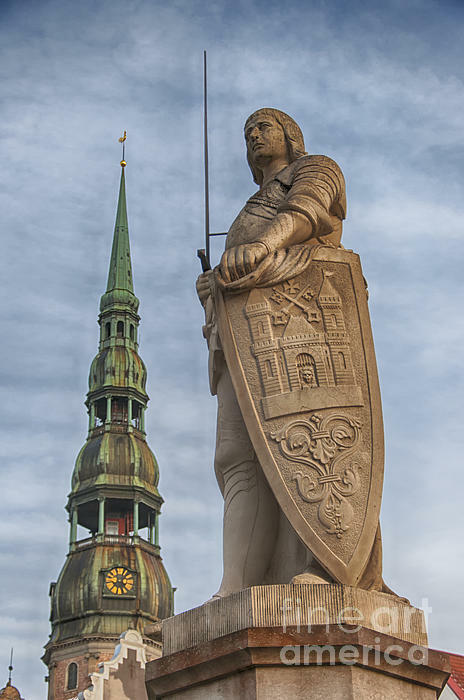 A statue of Riga's patron saint, St Roland, stands between the House of Blackheads and the Town Hall. 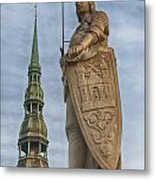 It's a replica of the original, erected in 1897, which now sits in St Peter's which can be seen in the background of this image.